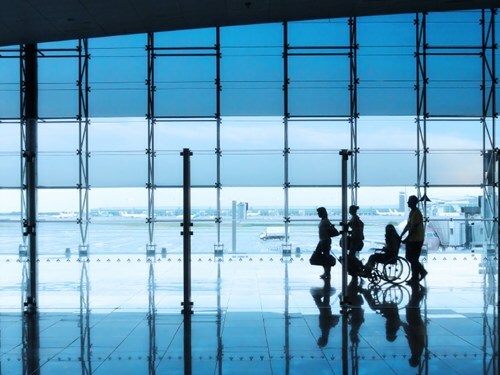 Disabled tourists, like any other tourists in the World, should be able to enjoy travel, dining out, drinking out, sightseeing and socializing in great surroundings and company. Shizuoka Prefecture is a must-visit region of Japan thanks to its incredible array of spas (onsen/hotspring resorts), culture (it was once the very center of old Japan under Lord Tokuagawa Ieysau), tourism including Mount Fuji, the latest UNESCO World Cultural Heritage and its vaunted gastronomy for all, be they omnivores, vegetarians or with special dietary priorities. Its proximity from Tokyo (80 minutes by bullet train) and its own airport in Shimada City makes for a practical destination, even within a single-day trip. And do not forget that with the coming Olympics and Para-Olympics, it will become a much-needed relief from overcrowded Tokyo! This guide was initiated to provide information fr the special needs of disabled tourists with a view to cover as many topics as possible. If you have any questions, suggestions, critics, whatever they are, do send us a message! We will reply as soon as possible, will investigate and add any information to this fledgling site! Bear in mind this is all done on a purely volunteer basis, so do not hesitate to contact us! We will even provide a forum page if needed! Below are the topics so far to be covered. We are waiting for your suggestions!